Everybody wants good audio. I know we’re not DJ’s and communications grade audio is from 300-3000 Hz according to Bell Labs, blah, blah, blah. Even if we’re not on the cutting edge of high fidelity it’s still important to be clearly understood. I bet even those guys who claim the don’t care are still pleased if they get an unsolicited comment of clean audio. At some point many hams will decided they want to do something a little better than a stock hand mic. There are many good mics out there and inexpensive mixers that can be added into the equation. There are plenty of people out there running full pro audio setups and pushing the limits of the 3 KHz SSB signal, too. One of the nice features of the Flex Radio and PowerSDR is the ability to tailor the transmit audio. My Flex-5000A has line level and mic level balanced and unbalanced inputs. The software also has a leveler, 10 band EQ, two different compression options and a downward expander. Fortunately, it also has the metering to allow you to set these items correctly. This is quite important as these are digital stages in the radio and will cause distortion if over driven past the 0 dBm level. When each stage of the audio chain is properly adjusted there should be nothing but clean audio transmitted. Flex Radio has a pretty good internet knowledge base as well as a couple email reflectors to help us out. They also have a pretty good owners manual to assist in configuring the radio. Audio seems to be something of a fuzzy area, though, to many of us who haven’t worked in the business. We kinda know how we want it to sound but not necessarily how to get it that way. We know we shouldn’t over drive or over compress it but we want to be heard over the noise. Nige Coleman G7CNF has recently posted a few PowerSDR tutorial videos on Youtube since the newest version 2.6.4 was released. It’s fairly long, but I guarantee you’ll learn something from it. 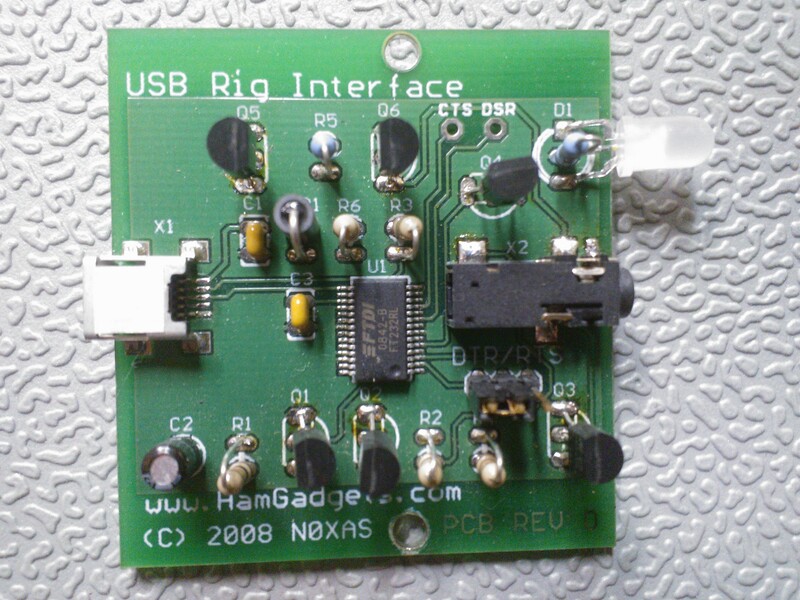 Of course it’s geared toward audio setup of a Flex-5000A using all the PowerSDR features. He makes very good examples and clearly displays how and why he’s changing settings. At the end…wow, what a difference! I only hope I have mine setup that good. If you have the time I can recommend it. Enjoy the show. A couple years ago my parents’ not-so-old Dell crapped out on them. They ended up replacing it and getting it fixed up for my dad’s man cave. Well, Dad’s resurrected desktop died again last weekend. Fortunately, he decided to buy a new one rather than spend any more cash on the old one. I helped him set it all up and get the basic configuration going. For my reward I kept the old one. Jared and Logan helped me disassemble it and rob the useful parts. Once I got it open I found the reason for failure–many popped caps on the mobo. Who knows what else might be bad. I was able to salvage 2GB DDR2 memory, Intel CPU and a cooler assembly with a couple fans, 250GB HDD, video card, and a power supply. I’m not really sure what to do with the case. It’s fairly heavy duty. The kids don’t really use my old Gateway desktop anymore. I turned it into a linux box years ago after the Windows rot kicked in on the Vista OS. Mainly it just sits around. I decided it needed a new life. I’ve been wanting a NAS box here at home for file storage. Something network accessible rather than just an external USB HDD. The factory units are pretty expensive and building up a dedicated machine, though powerful, would be even more so. Price and quality seems to be all over the place on external HDDs and NAS boxes. I managed to stumble across a cool piece of freeware on the net called FreeNAS. It will turn an old desktop or just about any machine into a capable server. The program works by loading the open source FreeBSD OS onto a 4GB flash drive. After setting the BIOS to boot from the flash drive it allows the entire capacity of all HDDs connected to the mobo to be used for storage. Pretty clever arrangement. It has a lot of feature on what type of file system to use, configuring sharing, global settings for access by the web, and plugins. It will even do multi-disk RAID arrays of multiple types. I configured one HDD to be a backup location and mapped it as a network drive. Now my computer backs up the whole system disk to one HDD. The other HDD is setup for storing media. I can now save all my episodes of amateurlogic.tv and Ham Nation to it, or any other videos I like, without filling up the HDD on my desktop. This is nice since I like to view the HD versions that are around 1GB file size. I loaded a program called minidlna on there and it will stream the videos to my Blu-ray player so I can watch them on the TV. It’s been a little challenging to get it all working but I’m pleased that it’s been a successful learning experience. Now that it’s February and well into the new year I might as well get around to making some resolutions. Not really resolutions so much as an attempt to set targets for a variety of projects I attempt each hear. 2013 is no different. I only have the cash to fund some of them but you just have to do your best. 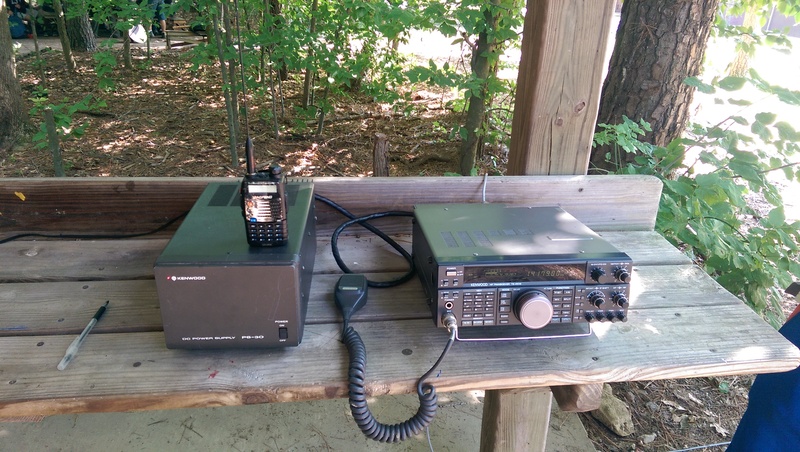 One of the things I’ve been busy with lately is the WD9BSA Memorial Scout Radio Station. It’s located at Camp Belzer in Indianapolis. I just recently became active with the group, but the other dedicated members have been working on it for over two years. Tabb, W9TTW, has been helping me with this, and together, we’re launching a social media blitz to try to get the word out about it. We’re also the only ones who know much about digimodes so we’ve made it our mission to get those up and running in the station as well. Here at my home shack I’ve been busy updating the computer to the latest and greatest new software for the Flex5k. This has been surprisingly painless, and each new upgrade yields new features or better performance. 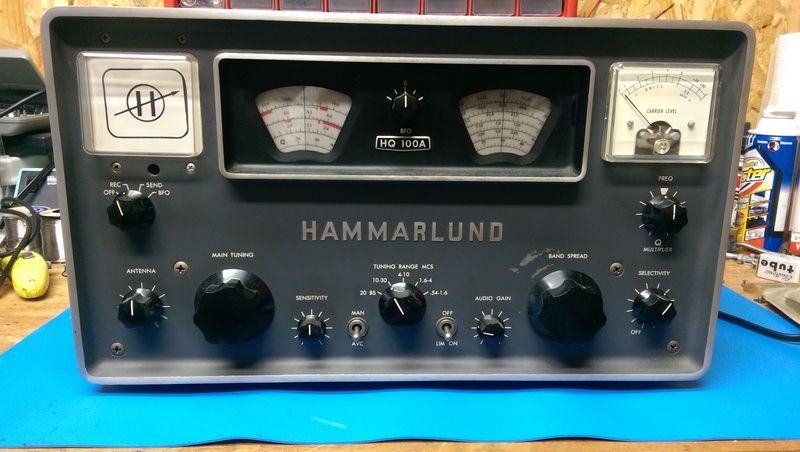 Going along with this theme is an upgrade to Ham Radio Deluxe Ver. 6. I paid for the subscription to the new version when it becomes available. I have it downloaded but not yet installed. It’s still a Beta, but nearly ready for release. I’m looking forward to taking it for a test drive. For projects I’m planning a tape measure beam. One of the events we’d like to plan for the WD9BSA station is fox hunt. It would be a good outdoor activity for the boys that incorporates radio and physical activity. There are a lot of plans for these and parts are cheap. One last item is to recreate a solid state linear amp from an article in the Oct. 2012 QST. It only uses one transistor in the PA and is good for up to 1kW. The one in the article was for 2m EME use but the transistor is very broad banded and there’s no reason it can’t work on HF. With proper low pass filtering on the output, I think it would make a great no-tune amp for the shack. FreeDV is another item I might actually get going fairly quickly. Since it’s really just software it shouldn’t require too much in the way of construction and building. I found out about it from a post on the Flex Radio Reflector while back. Then I saw further discussion about it on Episode 47 of Ham Radio Now. It was the topic of one of the talks from the TAPR/ARRL DCC conference. Nick, N9SJA, beat me to the punch on getting it up and running. We hope to experiment with it some here locally, maybe on 6m SSB. You can see his impressions of the software so are at his webpage here. That’s all for now, folks. This should be enough to keep me busy for years to come! It also breaks a two month streak without a post. All the best! Lots of stuff in this post. Really should be three posts but everything is pretty much intertwined. I guess this is what happens when you wait too long between posts…too much stuff! Consider yourself forewarned. I’ve been contemplating an antenna project for quite some time. I recently attached a fiberglass cross bar on my tower with pulleys and rope in hopes of raising something interesting. I’ve actually had it since I put the tower up but just never got around to attaching it. 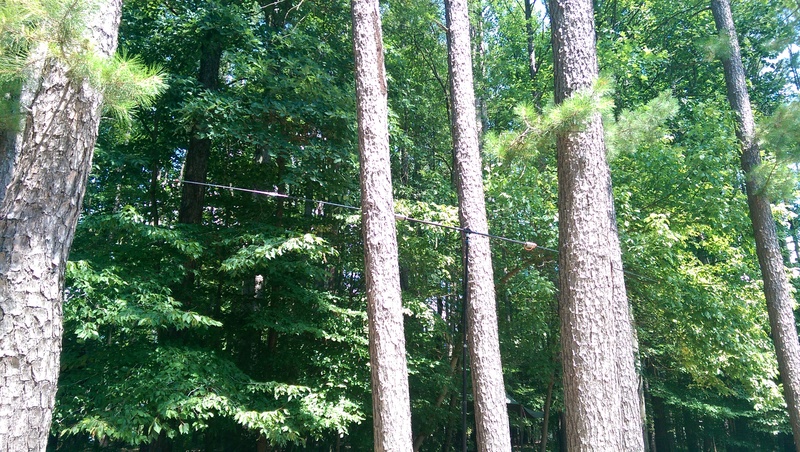 The idea was that I could easily raise and lower a project antenna because of the pulleys. I still have a lot of interesting ideas but with winter upon us it was time to act. I decided to buy a Carolina Windom 80 from Radio Works. I guess it’s really just a hybrid off-center fed dipole that’s supposed to work all bands with a tuner. It has some kinda special matching balun and line isolator to allow part of the feedline to radiate while also keeping RF out of the shack. It was supposed to go in the top of the oak tree at about 65′ but there were too many uncooperative branches. For now it’s pretty happy at about 38′ from the tower cross bar. Thanks a lot to Tabb and Nick. Time will tell how this works. 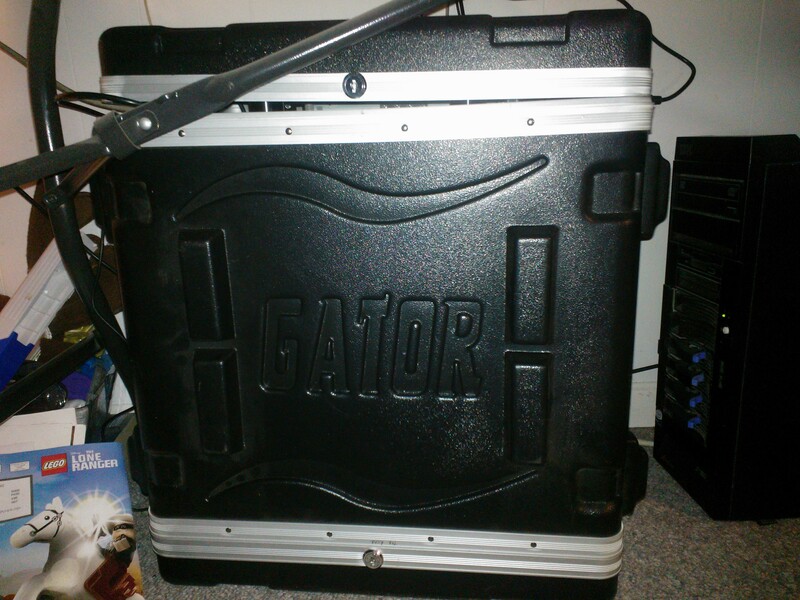 I’ve had the FT-897D complete radio station in a go box since the trip to Dayton this year. There’s a post about it somewhere down in the previous blogs. Until now it’s been sitting in my shack playing second fiddle to the Flex 5k. Now it resides in my family room with the server and old desktop computer to keep it company. It’s actually a nice fit in this location. I’ve had a radio in here before but due to little children it had to get relocated for its own protection. The boys are older now and somewhat interested in the thing. For now it’s something of a fascination for them. This may be just the right time to introduce them to the magic of ham radio. Since I have a new antenna and plenty of feedline why not hook it up to the go box radio in the house? This is where the linux stuff comes into play. Now that I have the nice, new antenna connected to a suitable radio station I need a way to log and also run digimodes. I could just use my old paper log but this is the 21st century, right? I carry a radio all day at work so it’s nice to work digimodes and not have to talk…or even listen since all there is to hear is tones. They’re pretty efficient and seem to overcome the local noise I get due to having power lines around three sides of my house. Several years ago I converted my old Gateway desktop to a linux box. It’s currently running the latest version of Ubuntu. I was going to need some linux-friendly software for logging and digimodes. I was able to install a logging program called CQRLog (CQRL) that reads the band, mode, frequency, etc from the radio and also completes logging fields using QRZ.com lookups once the callsign has been entered. It’s nowhere on the scale of Ham Radio Deluxe (HRD) but about as good as it gets for linux. For digimodes I installed Fldigi. Something neat I found is that it works with CQRL similar to how Digital Master 780 works with HRD. All I have to do to go from operating SSB or CW to digimodes is select Remote Mode in CQRL and it automatically opens up Fldigi. CQRL goes into an offline mode and accepts all logging fields and radio parameters directly from Fldigi. I’m pretty impressed! As usual with linux the install was a little quirky. I could get the programs from Ubuntu’s software repo’s but they weren’t the most current. I ended up having to do some manual installs. Also had to open a terminal window and work with the command line. Still not bad for free stuff that actually works. I usually end up learning something in the process, too. So this takes up us back to the beginning…how’s it work? 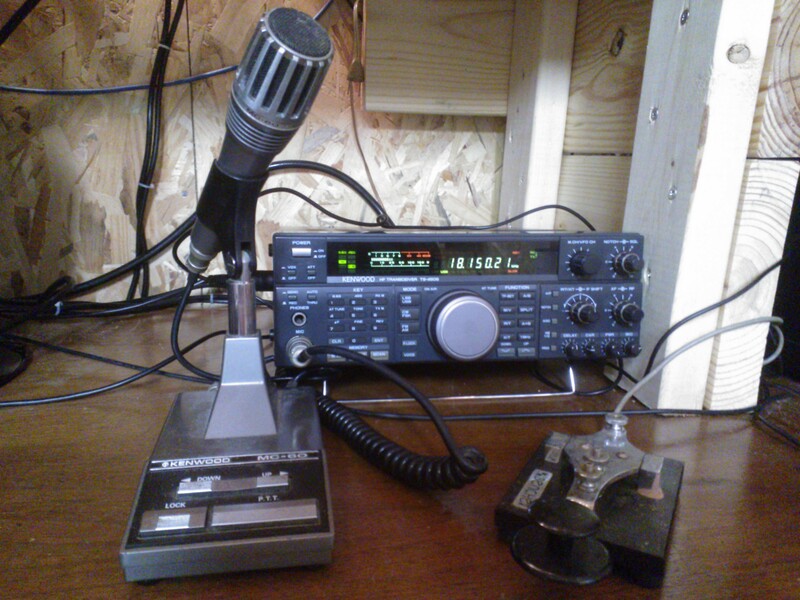 The 10M band was open all weekend. Since this antenna isn’t really resonant there I figured it would be a good test. Well, the LDG AT-897 Plus tuned it right up. Was able to work Brazil and also a strong station in California that was part of a 10-10 special event station. 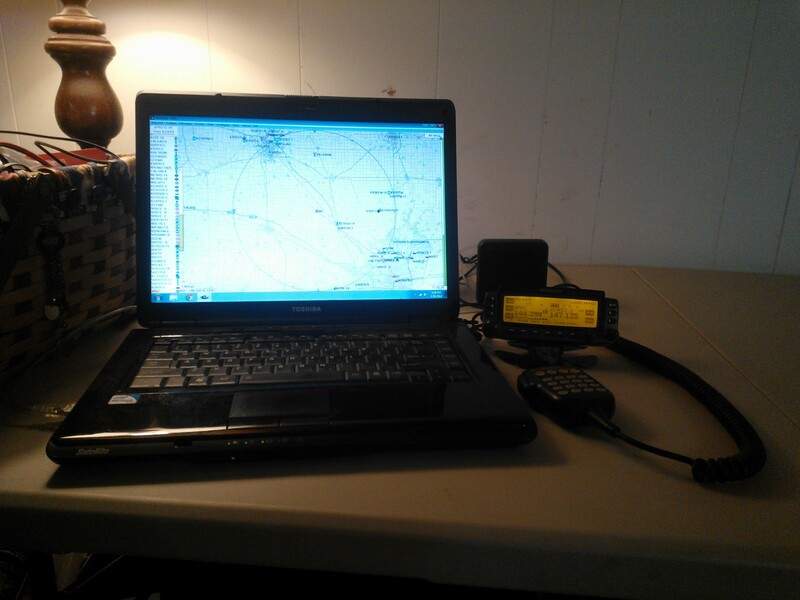 Switched to 20M and worked a strong station in Michigan on psk-31. He helped me get the transmit level set on the SignaLink USB so it wasn’t overdriving the waterfall display. Well, there’s three QSO’s on two bands. It’s a good start. Jared seems to be interested in what I’m doing. He even made his own lego radio to set next to mine. All is well in the world for now…. One of the nice things about the Flex 5k is the way audio inputs/outputs can be interfaced. The front mic connector is just the beginning. On the rear of the chassis is a jack for a true balanced mic input as well as RCA jacks. Since I purchased it I’ve been using a Heil PR-781. This is a balanced studio grade mic that has been optimized for high end amateur radios. Up until now I’ve just been using Heil’s mic cable that goes from XLR to the front mic jack. This basically converts the balanced mic to the unbalanced front connector. With the Heil foot switch attached I found that I’d get RF into my audio on 17m. The addition of ferite beads cut this down but it has always bothered me a bit. I recently decided to purchase a new balanced mic cable. This one has the required XLR plug on the mic end and the 1/4″ TRS plug on the other end that goes into the back of the radio. I can still use the foot switch as it will plug into the back panel, too. I’m hoping this will be a nice improvement for my station. This will also give me an excuse to go back through the mic setup procedure and verify all my levels are correct. The audio capabilities in the Flex are extensive if one desires to go through all of them. I know, I could’ve built this cable up myself from pieces. I’m sure it would be cheaper for a couple connectors and a few feet of mic cable. However, this has left me time for some summer fun activities. We went to the Extreme Flight Championship for R/C planes and heli’s. Jared’s plane is fully flightworthy and he’s made several flights with the 4H club. I also found time for some minor repairs to the model rocket launcher. Summertime fun is some good stuff!